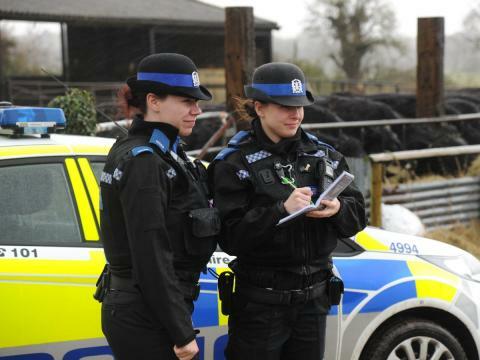 Officers tackling rural crime took part in a joint operation to disrupt criminals coming into the north of the county. Last night more than 40 officers from Hampshire, Thames Valley and Surrey took part in the dedicated cross-border operation. It forms part of our ongoing Operation Rebate work, which was launched to reduce rural crime such as non-dwelling burglaries. During the night of action more than 20 vehicles were stopped, with one seized. Three people were also arrested for driving offences. Hampshire saw officers from Tadley and Yateley's Neighbourhood teams taking part, as well as those from Country Watch, the Dog Unit and the Roads Policing Unit. Inspector Olga Venner, from Hampshire Constabulary, said: “Last night saw no offences reported in relation to Operation Rebate, so we are pleased that our action is making a difference. “Operations like this are important to show criminals that rural areas in Hampshire are not a soft target. “We know rural crims has a significant impact on those targeted and we are dedicated to do whatever we can to bring those responsible to justice.